Have you ever seen my bottom lashes that thick and multiplied? NO. Most of the time, they just look like....like....a drunk anorexic spider's legs. You can go check out the Makeup Tutorials Tab if you want to see them in all my eye pics. I'll tell you how I made them look like that in a minute. 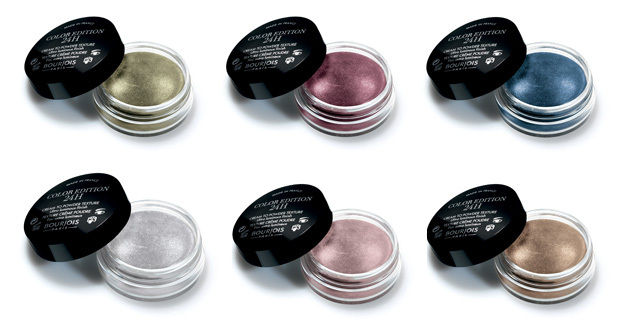 First, let's talk about the new Bourjois Color Edition 24H Cream To Powder Eyeshadow. The color I got is #04 Kaki Cheri, a khaki green shade with gold shimmer. It is different from Maybelline Color Tattoo & MAC Paintpot. At the top of my head, it has a more spongy texture. I like it A LOT. It has a silky texture, is super easy to blend & never creases. It turns into a powder finish and lasts all day. I love this shade. When I wear it alone, sometimes it looks like I have a black eyeshadow with it. It was quite hard to click this shade, since greens are always difficult to capture, at least for me. It's a shame they did not make matte shades in browns & nudes. Price: £6.99 | Rs.704 from Boots. My Rating ~ ♥♥♥♥♥ 4.5/5. These are all the products I used for this EOTD: Lakme Kohl Ultimate to tightline & on waterline, Bourjois Liner Feutre Felt Tip Liner, Eylure Chelsea Lashes. 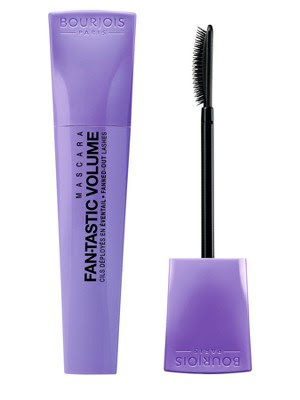 Apply 2 coats of a volumizing mascara, but wipe off the wand on the mascara's tube before applying. This will remove excess product and prevent clumping & smudging. Apply 2nd coat while the previous coat is still wet. 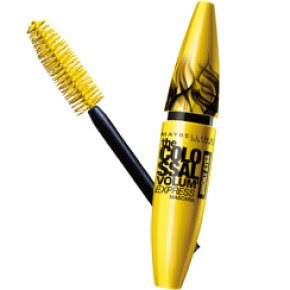 I used Maybelline Colossal Smoky Eyes Mascara: I'm really loving this for my bottom lashes these days. Pinch the tips with index finger & thumbs and gently pull them out.This is like trimming them. Like blunt hairstyles make your hair look thicker, doing this will also make think lash hair look fatter. This one has a hairbrush kinda brush. I'm loving this for this purpose. Alone, it's not a great mascara for thin lashes, but it gives lashes more oomph when layered on top of another volumizing mascara. Before: This is after Maybelline Colossal Smoky Eyes Mascara. Pic taken when sun was up, that's why it appears warmer. Although you can see the gold in Kaki Chi more there. After: After Bourjois Fan-tastic Volume Mascara. Hope you liked this little tip. Some of you are like: 'Eh, my bottom lashes look better than your AFTER lashes even without mascara on!' Okay, let's trade. 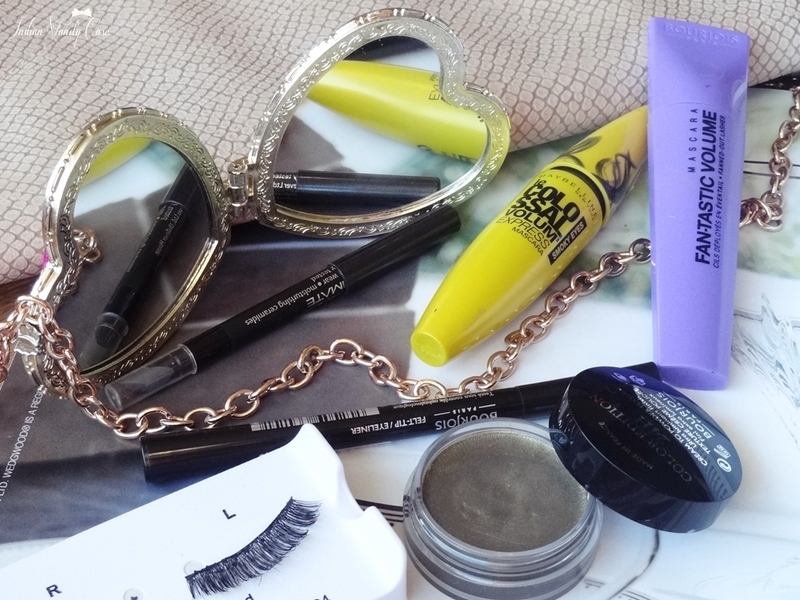 You give me lashes, I give you my entire makeup collection. Yes, I'm serious! The photos in this post are incredible! Did you use a professional camera or just a phone camera? I use a digital camera, thanks! Thank you so much for this awesome tip!! The eye shaodw looks amazing.. I am gonna grab these for sure.. and the bootm lashes trick.. it works like mafic.. loved the effect.. :D :D..
oooh, I have thin lashes too. Nice tips C! thanks for the tip! I ve pathetic lashes! wow..... i need to try this..... i once tried applying mascara on my lower lash-line and ended up totally ruining my eye makeup. You are such a magician with eye make up Cynthia!! I can relate to that myself :D. Thanks so much! But, I already have pretty great bottom lashes,although it is not as full as yours in the after picture,i think it looks pretty decent!! So.What I am getting to is..If you wanna tradeeeeeeeeeeee... :D :D I am game..!! I guess we all need something to complaint about..! Red Lipstick Hides Dark Under Eye Circles?! He Can Turn Me Into Anything He Wants. Copyright @ Indian Vanity Case. Simple theme. Powered by Blogger.